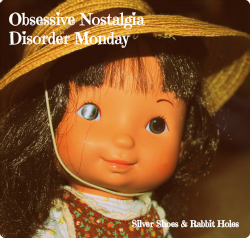 It's Mac & Cheese Wednesday, here on Silver Shoes & Rabbit Holes. 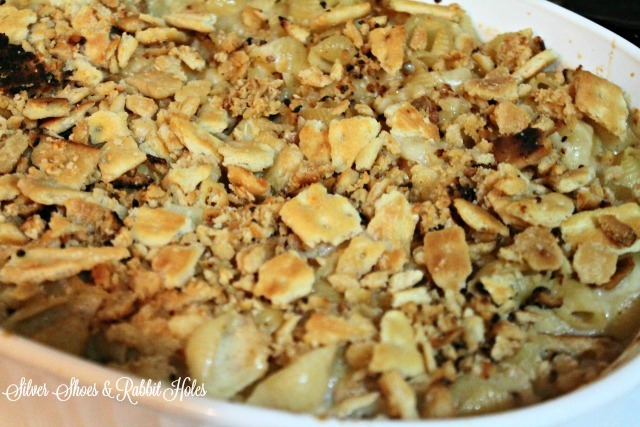 Today's mac & cheese was found via one of my favorite recipe blogs, Half-Baked Harvest. 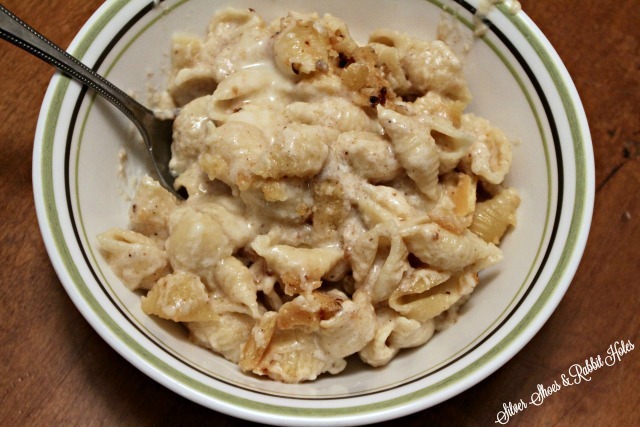 Of course, I always wind up making do in the kitchen, which is why my mac & cheese is just a little different from hers. 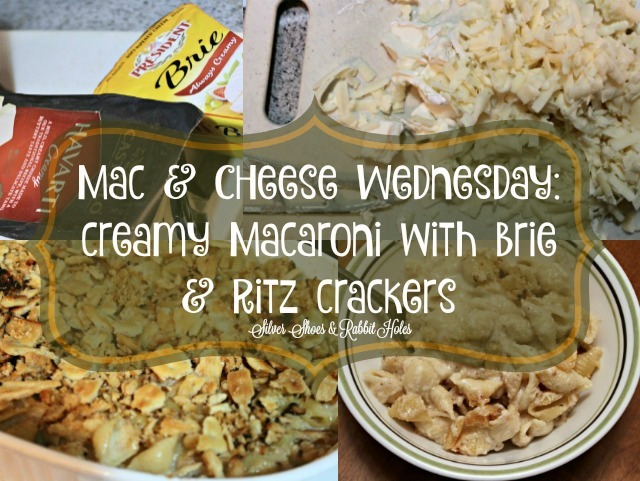 I'm still using up my shell pasta, and I used actual Ritz crackers, instead of the fancier ones in her photos. The biggest difference, however, came in terms of cheeses. 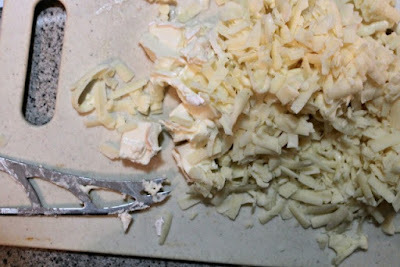 The original recipe, which you can read here, calls for four cheeses: sharp white cheddar, fontina, havarti, and Brie. Well, my usual store was out of fontina that day (and honestly, fancy cheese gets so expensive! ), so I decided to use extra white cheddar. I do love a recipe that calls for garlic, even in a light amount, such as this one. Cayenne pepper is a plus. But my favorite spice to use in mac and cheese? Ta da! 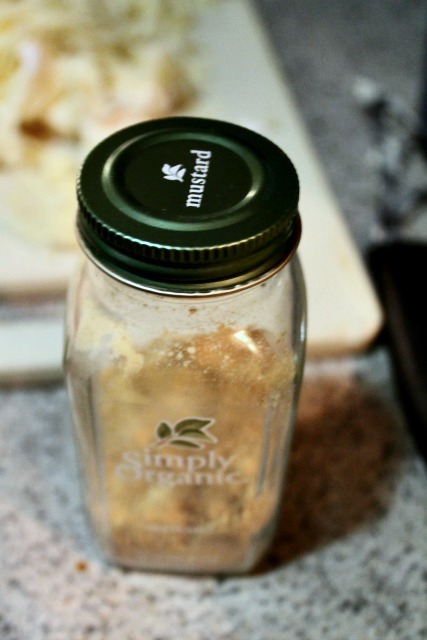 Dry mustard. This is what it looked like, straight out of the oven. It was so pretty in my French white Corningware. 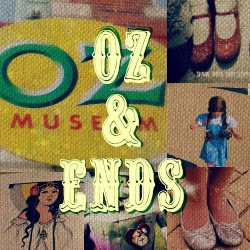 So... the verdict? This was a surprisingly mild take on macaroni and cheese. 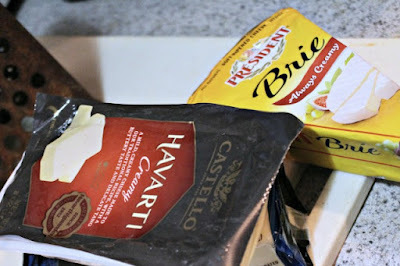 Even the extra cup of sharp white cheddar did not cancel the smooth mild creaminess of the havarti and Brie. The girls and I decided that despite the fancy cheese, this was a bowl full of comfort. It didn't taste fancy at all. 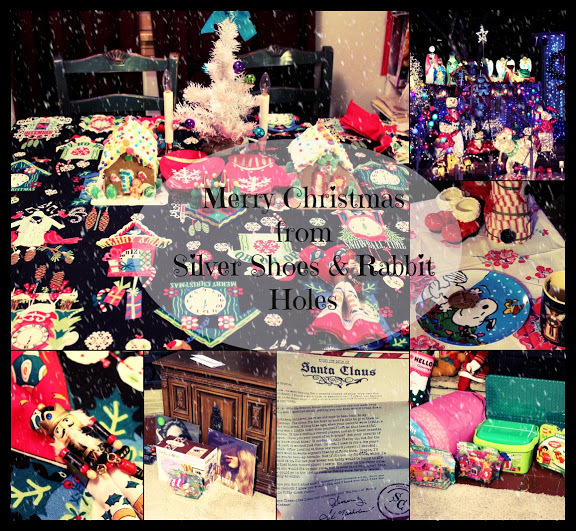 (The Ritz cracker topping probably helped with that, too.) Someday, we'll try it with the fontina. Forgive me, but it was past dinner time, and I didn't want to race around town to find it. This is me, cooking in real life. 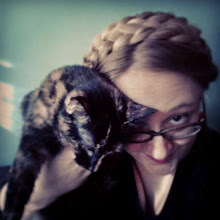 I'm a mommyish-bookish blogger, not a food blogger. Go to the real food blog to get the proper recipe. It's so worth it. The girls and I had the exact same idea when we considered a book to pair with this recipe. The fanciness, like Brie? 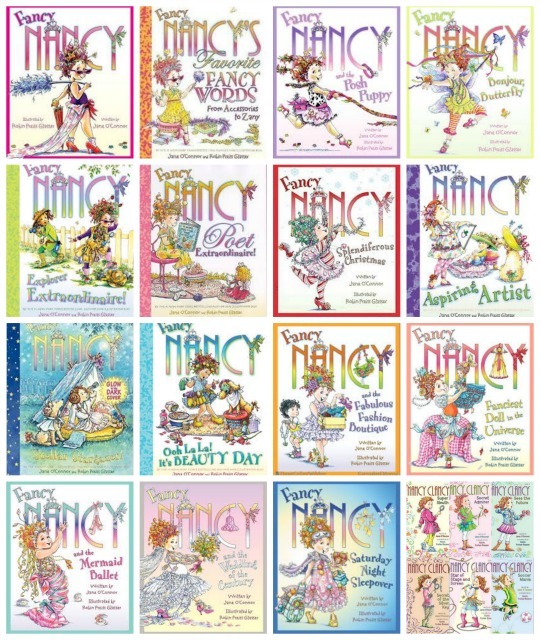 Why, Fancy Nancy, of course! You're surely familiar with the Fancy Books by now, right? 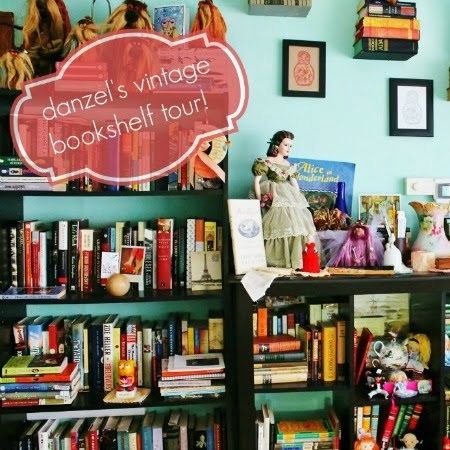 She's been around for over a decade and there are more books than I can even begin to name. 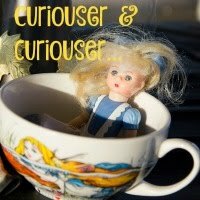 Nancy loves everything fancy, but much like her family and her homemade, craftsy decor and fashion, the books are like comfort food. And by the way, her best friend is named Bree. We still prefer the lovely hardcover picture books, although we certainly had our fair share of 8 x 8 paperbacks and I Can Read books in the past. For older, independent readers, the Nancy Clancy chapter book series is very cute, too. 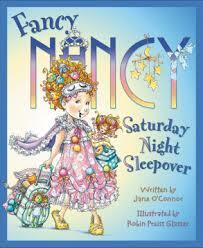 We are a bit behind: Fancy Nancy: Saturday Night Sleepover came out back in February, and we have not read it yet. 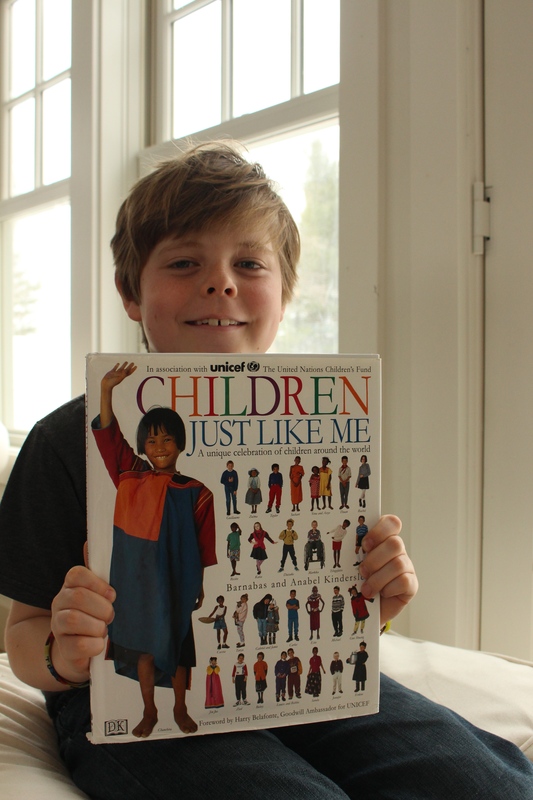 by Jane O'Connor, illustrated by Robin Preiss Glasser. 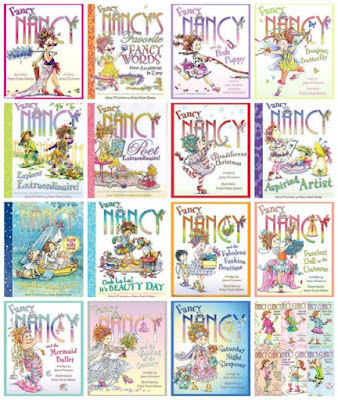 Fancy Nancy is fresh in our brains, because Little Sis decided I needed to read some of the books to her this week. My Nancy voice was a bit rusty (yes, I have a Fancy Nancy voice), because sadly, it had been so long since I'd read one aloud. 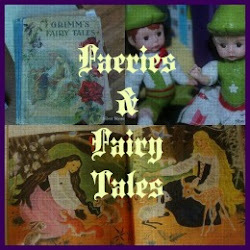 We read the first book, which is still such a sweet, sweet story. We also read Bonjour, Butterfly. 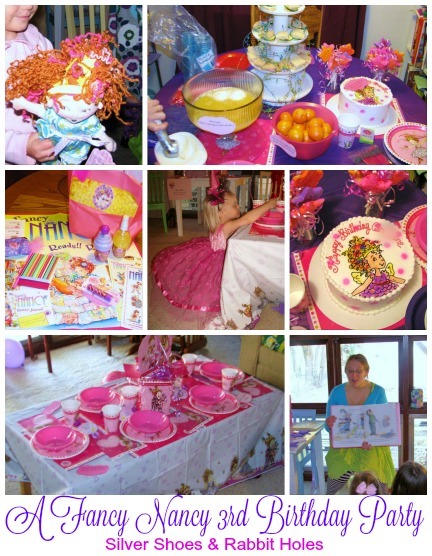 Speaking of Little Sis, I'll leave you with a brief glimpse at her third birthday party, almost 5-and-a-half years ago. Sigh. Tee hee! Don't we all??? I WANT THAT MAC!!!!! it looks so creamy!! I've never used anything other than cheddar can you believe? ?